A range of resources and guidance materials can be found here to support the development and enhance the provision for your EAL learners from EYFS to Key Stage 3. Guidance can also be found on developing positive partnerships with parents of EAL learners and empowering these parents to be actively involved in the learning of their children. Just out! 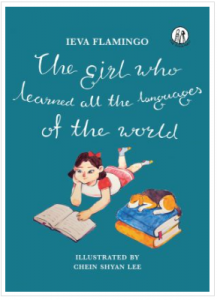 ‘The Girl Who Learned All The Languages Of The World.’ Inspire your students to learn and share languages – perhaps a class reader? Please get in touch with us on infor@betterbilingual.co.uk for details of the discount code. Get in touch to find out how to purchase the book at a discounted price.